After a couple of events, I decided to put my around the room layout on hold for the foreseeable future. The CEO of the House decided that she would like to move. I doubt that it happens anytime soon, but I didn't see the use of putting a lot more time into the Around the Room when I know it will die a quick death once we do make the decision. After 20 years of bliss, I know it is only a matter of time. Also, I spent the evening running ops with @Allen H. on his great full basement layout and really enjoyed running operations. 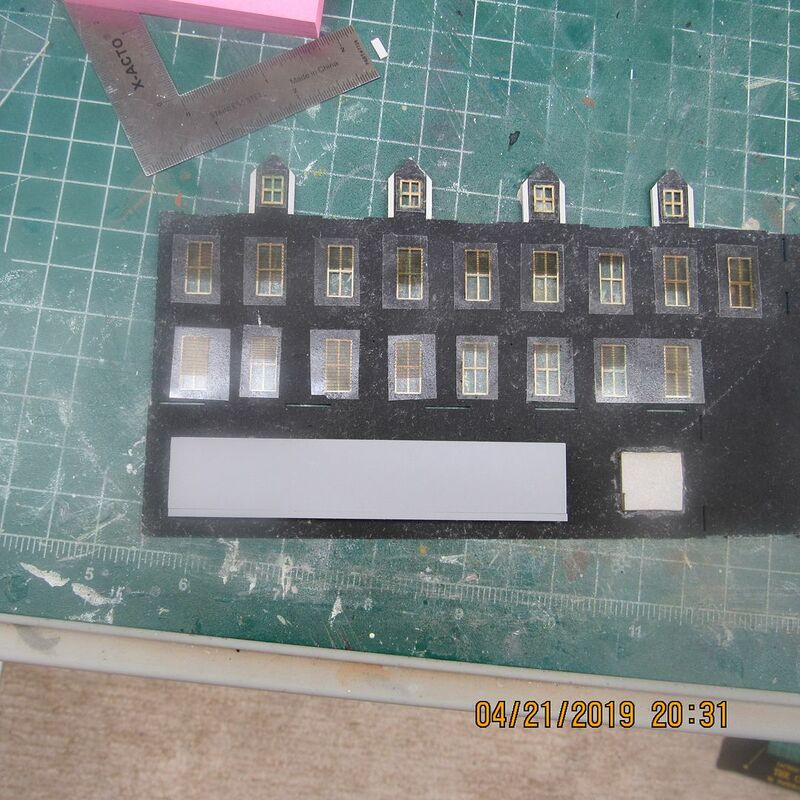 Thus, I figured I could still dabble in building something that I could take with me to the new homestead, when it happens, and scratch an itch to operate trains at the same time. A win-win. Still like the idea of watching be long trains run their course, so another around the room is still in the future. Thanks again to Allen for his input on this design. Thought I would throw it out to the group for input. Size - 21" x 96"
Track - Peco 80 and Peco Medium turnouts. Turnouts will be hand thrown. Era - Given the stock yards and packing plant likely 70's / 80's era. I figure I should be able to manage two engines and about 20-30 cars. A switcher and SD40-2 under UP flag. Net new investment is pretty small which is a good thing. Have to pick up a couple of the building kits and turnouts. I like the plan Dave, I think it'll keep you busy enough without being overwhelmed. A great way to get into Ops. I'm glad you were able to make it that night and glad you enjoyed yourself. Looking forward to next time. 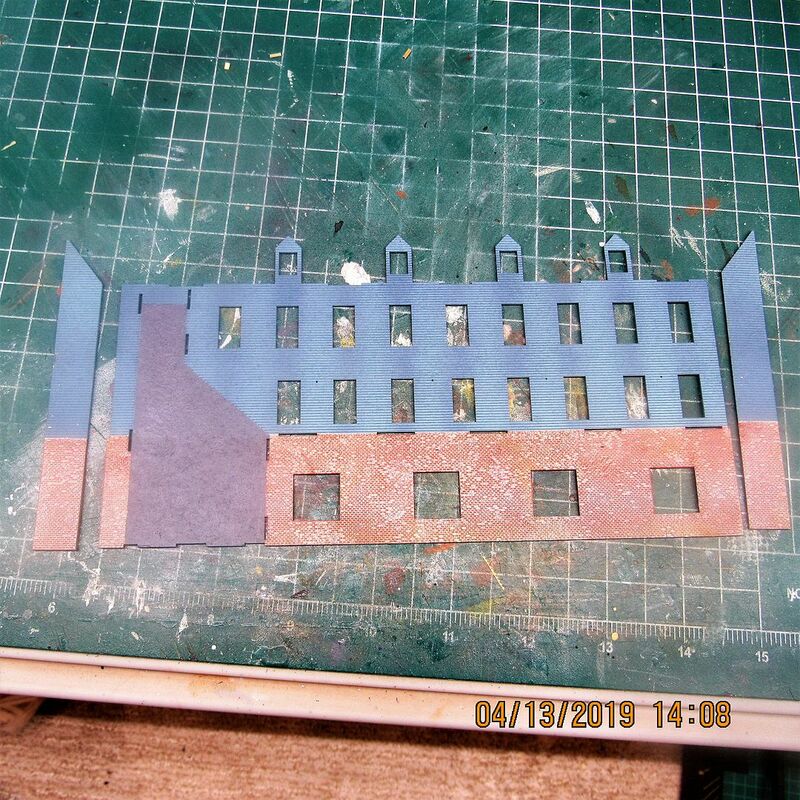 Started on the first building RSL Harris kit. Took a couple pics to see how the bricks came out and how the blue looks. Bench is probably still a month away. Weather has been crap here, thrown in 3 weeks of travel plus oldest graduating I am not expected a lot of free time to get out to the garage to cut some wood. 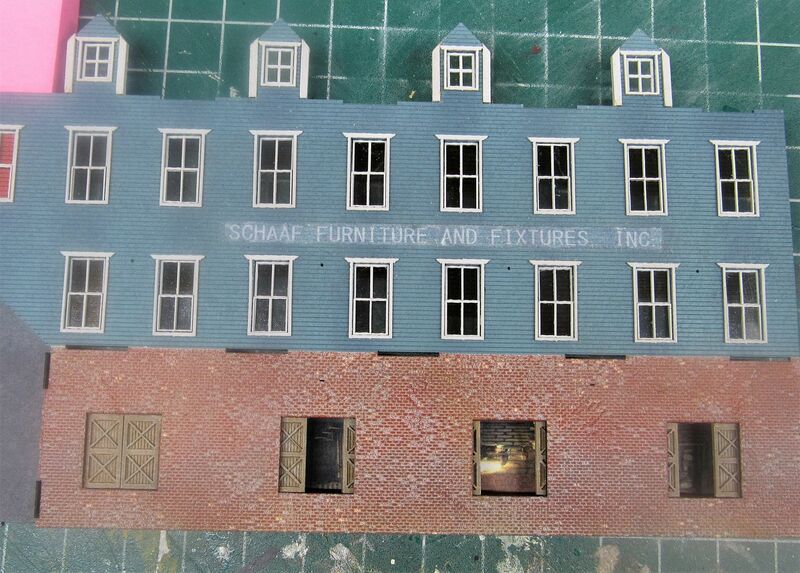 Some windows in, custom made the sign and added a small shadow box with a background for the loading doors. I think I have room to get a couple nano LED's in there to light it as well. Not a lot of room to play with. Hopefully once I get a couple shots of dullcoat on the sign, it will settle into place. 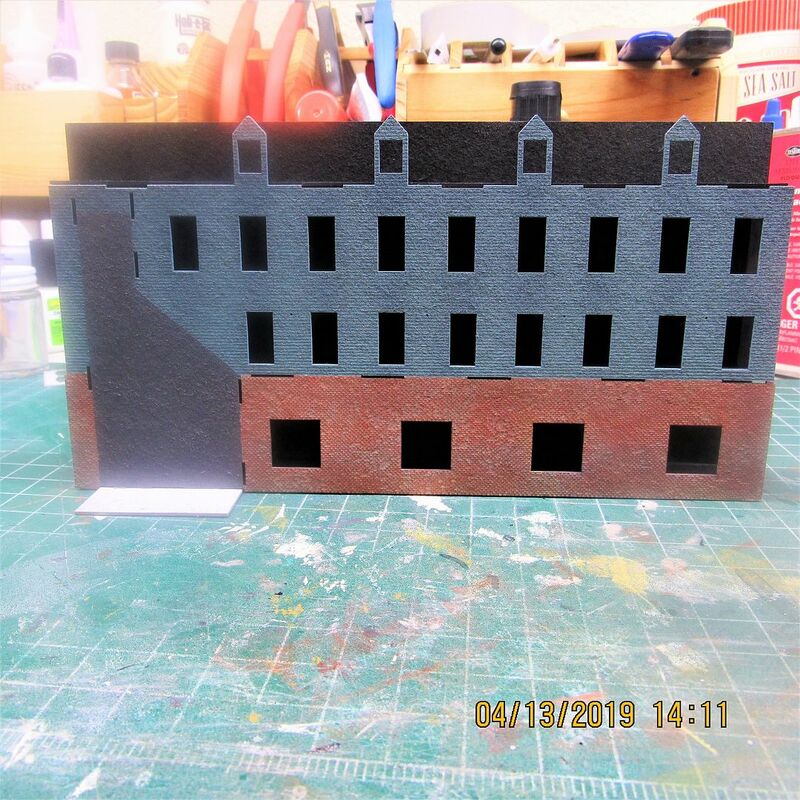 Scanned the building for color, added the text, printed it out, sanded the back down and glued in place. Came back over it with the back edge of the blade to get it to settle into the clapboard grooves. No work on the benchwork yet. Weather finally turned nice, but travel is killing any hope of getting anything done. Keep plugging away at the buildings. Just realized I have the shadow box in upside down in the picture. Good thing it isn't glued in place yet. By tim in forum Layouts, Design, & Planning. By JGB1977 in forum Layouts, Design, & Planning. By ex95 in forum Layouts, Design, & Planning. By Roanoke_NS6123 in forum Layouts, Design, & Planning.